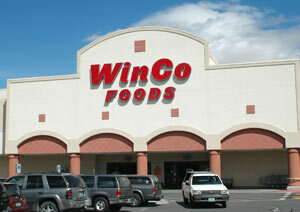 Winco Deals: Free Bar-S hot dogs, Cheap Chex Mix, Kraft Dressing & more! I stopped by Winco this weekend to check on several prices. I found some pretty great deals! This entry was posted in A Uncategorized, Winco Deals. Bookmark the permalink. Free Jr. Deluxe at Arby’s! Really? Maybe it depends on the cashier? Last week I just used $1/1 Cottonelle tp coupon with the $2.98 tp promo at the Midvale store. 12 rolls of tp for $1.98- quite a deal! The Bar S hot dogs at the Midvale store are the 12oz size and the coupon is for the 16oz or larger. I noticed this last time I was there. Use your coupon at Fresh Market though and get them for .09 each. Kerr jars at super walmart taylorsville are for $6 for 12 jars. Bonnie- sure! Just sign up here to receive my daily emails!